Not sure there is a more perfect combination out there. 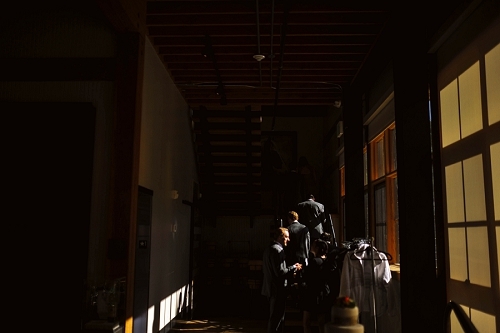 High West Distillery is one of my all-time favorite venues I’ve shot at. 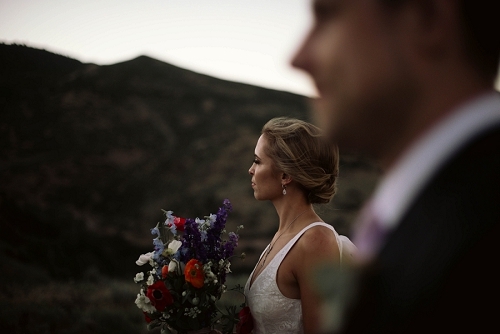 Most of the time I’m out in the middle of nowhere shooting ceremonies, and I felt like High West combines that wild feel (it’s tucked away in the mountains outside of Park City, Utah), with the amazing food and atmosphere a killer venue provides. Possibly the coolest thing about having a wedding there is that they offer distillery tours for you and your guests! During cocktail hour while I was shooting portraits with Stef & Vig, their guests were busy touring the space and trying different kinds of whiskey! 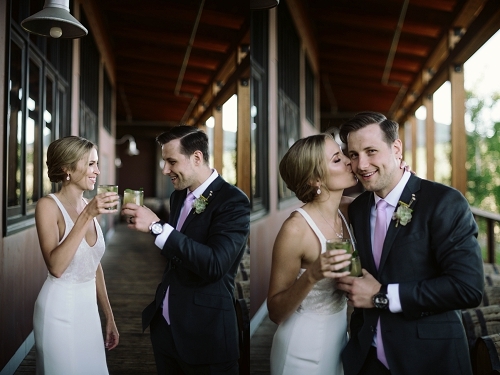 Cocktail hours are the perfect little window to spend 30 or so minutes with your photographer getting dreamy, romantic photos of the two of you. Having something for your guests to do is a great way to make sure people are comfortable and entertained, while you get beautiful photographs! I’ve seen people do anything from oyster shucking, whiskey tasting, to live music. 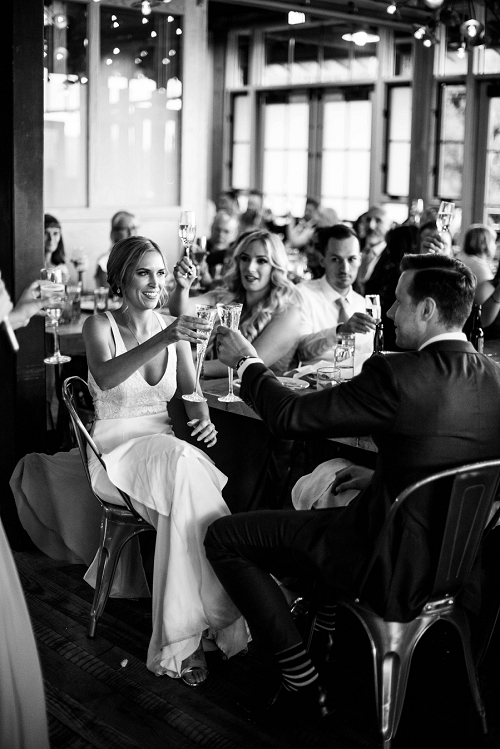 I always advocate for people to include lots of pieces of themselves in their wedding day, and a cocktail hour offers the perfect chance to incorporate some of those things. for your guests to enjoy. Something that I think ties together a rustic feeling venue like High West is beautiful florals. Jenevieve of Beehive Floral Co. worked with Stef to incorporate floral arrangements that had elements of wildflowers and lots of pops of brighter colors to stand out against all of the wood and darker elements of the venue. High West also has a large area for DANCING. If brides dancing on tables is your thing, keep scrolling. I died laughing, and can only hope every bride has that much fun on her wedding day!